The Departments seek public comment by January 3, 2017, on tobacco cessation coverage. 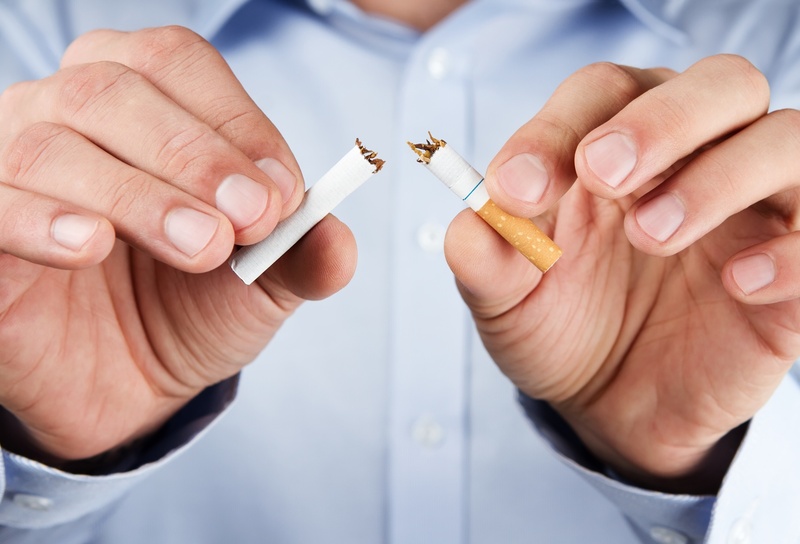 The Departments intend to clarify the items and services that must be provided without cost sharing to comply with the United States Preventive Services Task Force's updated tobacco cessation interventions recommendation applicable to plan years or policy years beginning on or after September 22, 2016. Generally, the Mental Health Parity and Addiction Equity Act of 2008 (MHPAEA) requires that the financial requirements and treatment limitations imposed on mental health and substance use disorder (MH/SUD) benefits cannot be more restrictive than the predominant financial requirements and treatment limitations that apply to substantially all medical and surgical benefits. A financial requirement (such as a copayment or coinsurance) or quantitative treatment limitation (such as a day or visit limit) is considered to apply to substantially all medical/surgical benefits in a classification if it applies to at least two-thirds of all medical/surgical benefits in the classification. If it does not apply to at least two-thirds of medical/surgical benefits, it cannot be applied to MH/SUD benefits in that classification. If it does apply to at least two-thirds of medical/surgical benefits, the level (such as 80 percent or 70 percent coinsurance) of the quantitative limit that may be applied to MH/SUD benefits in a classification may not be more restrictive than the predominant level that applies to medical/surgical benefits (defined as the level that applies to more than one-half of medical/surgical benefits subject to the limitation in the classification). In performing these calculations, the determination of the portion of medical/surgical benefits subject to the quantitative limit is based on the dollar amount of all plan payments for medical/surgical benefits in the classification expected to be paid under the plan for the plan year. The MHPAEA regulations provide that "any reasonable method" may be used to determine the dollar amount of all plan payments for the substantially all and predominant analyses. MHPAEA's provisions and its regulations expressly provide that a plan or issuer must disclose the criteria for medical necessity determinations with respect to MH/SUD benefits to any current or potential participant, beneficiary, or contracting provider upon request and the reason for any denial of reimbursement or payment for services with respect to MH/SUD benefits to the participant or beneficiary. However, the Departments recognize that additional information regarding medical/surgical benefits is necessary to perform the required MHPAEA analyses. According to the FAQs, the Department have continued to receive questions regarding disclosures related to the processes, strategies, evidentiary standards, and other factors used to apply a nonquantitative treatment limitation (NQTL) with respect to medical/surgical benefits and MH/SUD benefits under a plan. Also, the Departments have received requests to explore ways to encourage uniformity among state reviews of issuers' compliance with the NQTL standards, including the use of model forms to report NQTL information. To address these issues, the Departments seek public comment by January 3, 2017, on potential model forms that could be used by participants and their representatives to request information on various NQTLs. The Departments also seek public comment on the disclosure process for MH/SUD benefits and on steps that could improve state market conduct examinations or federal oversight of compliance by plans and issuers, or both.